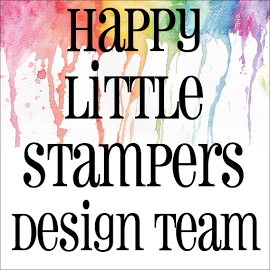 and Happy Little Stampers May CAS Challenge, which is for die-cuts/punches, as it uses mostly die cuts - both, positive and negative. First, I cut out the Marianne Designs, 'Brick' die and used the negative cut-outs for the border strip and then added my watercolour butterfly on foam tape for added dimension, this is almost a one layer card, except for the die-cuts. I finished it off with a sentiment from Mama Elephant's, 'In My Heart' stamp set and three SSS, 'Moonshine' sequins. 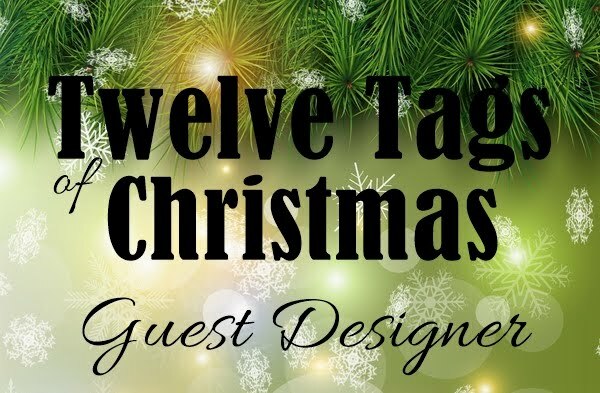 What a great take on the sketch Hazel and I love your use of the negative die cuts - a genius idea! The brick wall is perfect. Looks like a winner. 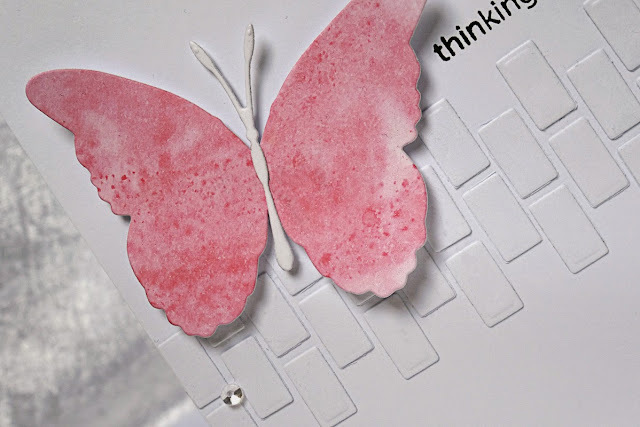 Great card, butterfly too. 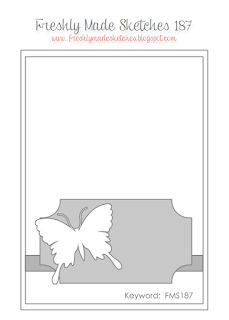 Great idea to use your off-cuts from a brick die to create your border. Beautiful card! How clever to use the negatives of the brick die to build your own beautiful wall, Hazel!!!! - it looks great!! 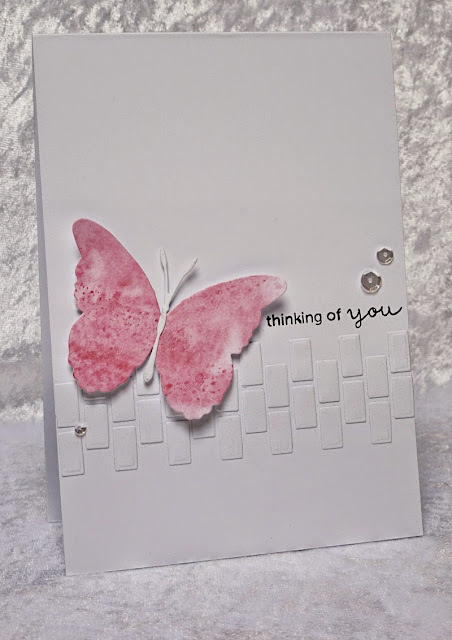 And your watercoloured butterfly is so lovely - love the pink - it really pops against all the lovely white!!!! 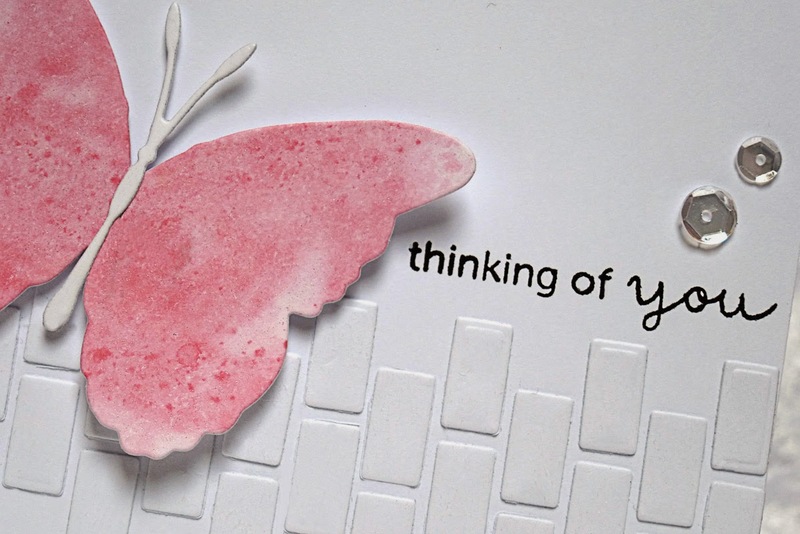 A very beautiful CAS card, my friend!!!! 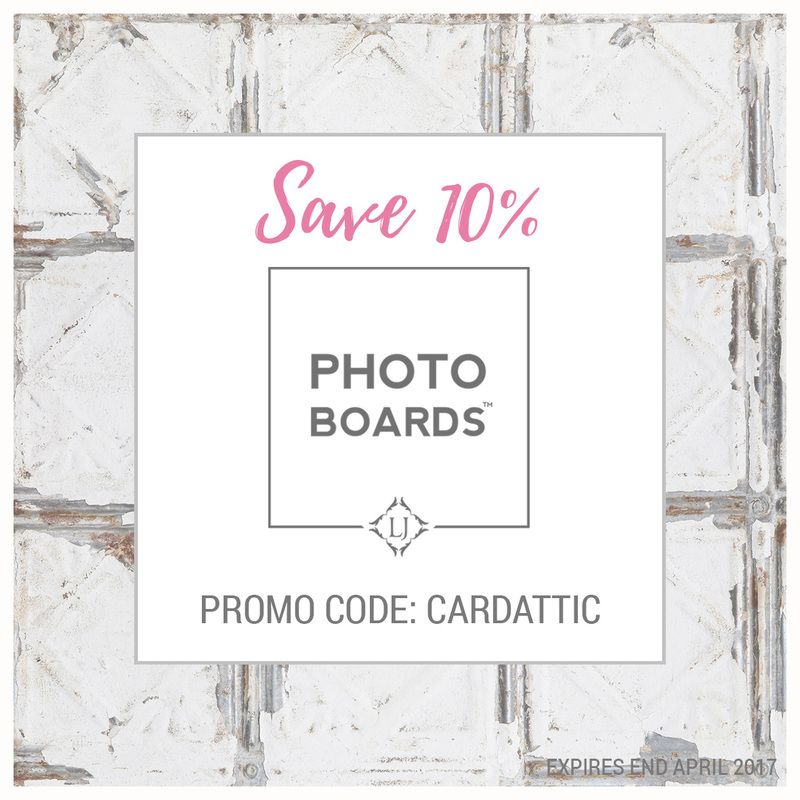 Love all the details you have added to your card. 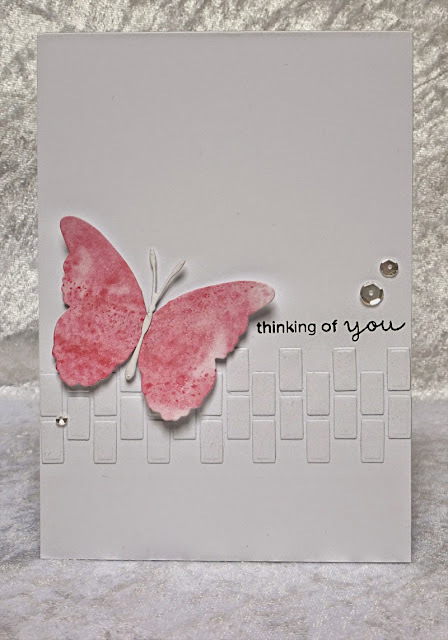 The brick die cut is a perfect background for the beautiful butterfly. Great job!! I love that you used the bricks as a horizontal layer. What a great look that is! Thanks for joining us at Freshly Made Sketches! I just love this card and especially your fabulous background! Thanks for joining us at FMS this week!